Merritt Island Wildlife Preserve is basically near and / or part of the Kennedy Space Center property over on the east coast of Florida. I’d been there only once before with a good friend of mine who – for the second time today – gave me a great grand tour. This is the part(s) of Florida that I have passionate love for. It reminds of a southern version of where I grew up and lived for all of my younger life in New England – specifically, The White Mountains of New Hampshire. So what’s the connection you ask? The beautiful pristine, almost untouched natural beauty of the land Yes, New Hampshire has high mountains while Florida does not. But the same nature based, peaceful serenity I’ve always found up there in the mountains I can find in places like this wildlife preserve. 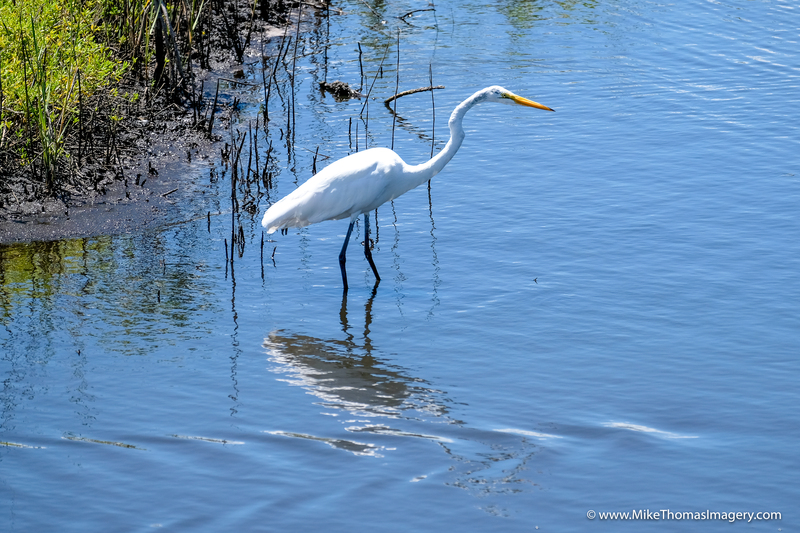 While touring around Merritt Island Preserve, I managed to capture several wildlife shots as well as a pretty large scale wildfire that was creeping up on the property line of the preserve. It actually may have been on some of the property/ Was far enough away I couldn’t tell. 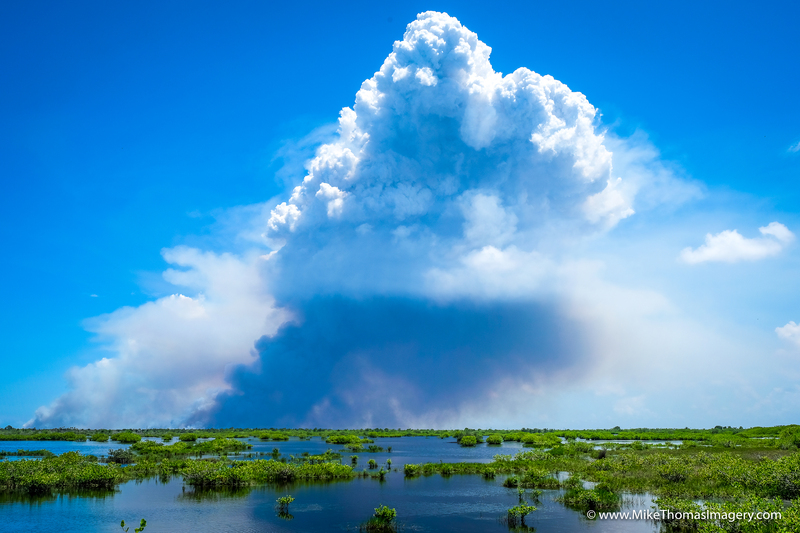 Nonetheless, this wildfire was huge! But even though it was a destructive force, it still made for an interesting and beautiful photo. I certainly don’t mean to make light of this and I surely hope there was no personal injury or property loss. 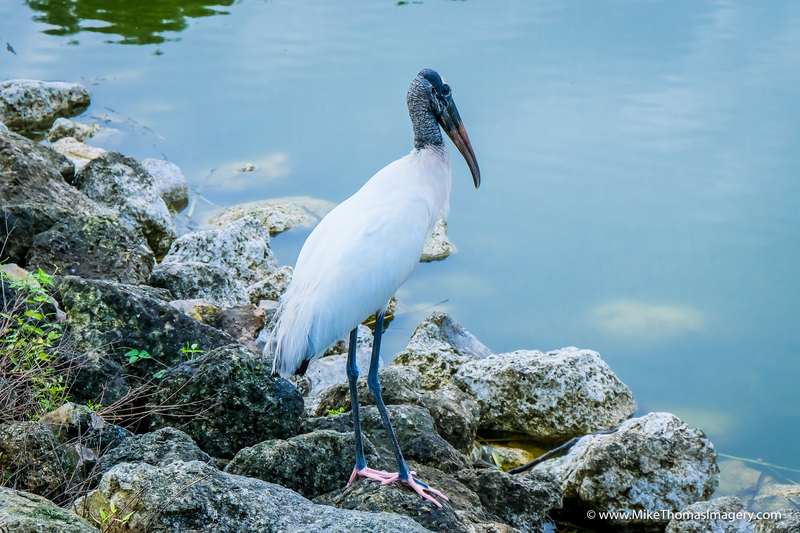 I definitely plan on making more trips over to Merritt Island Wildlife Preserve. What you’re seeing (and hearing about) herein this blog post barley scratches the surface of what this area has to offer. I started out in Bryson City, NC with a visit to The Great Smoky Mountain Railroad. Much as I DO like train rides, I didn’t venture over there with the intent of riding. 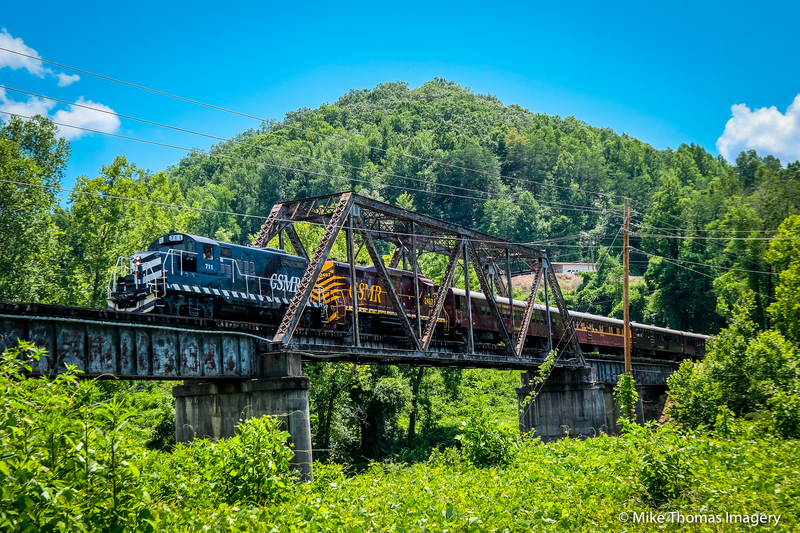 I wanted to take my own photos of the railroad and a few of Bryson City itself But more than just that, there are several trestles where the GSMR Trains cross – one of them not too far from the downtown depot. I’d hoped to get a few good ones of the train traversing the bridge. But as luck would have it, I captured about 10-12 GOOD ones – so rare for even the best photographers. It was too hard to choose which ones to put herein this blog. Therefore, I just posted one herein. The rest I plan on including in another post which will contain a slide show video. More on that later. 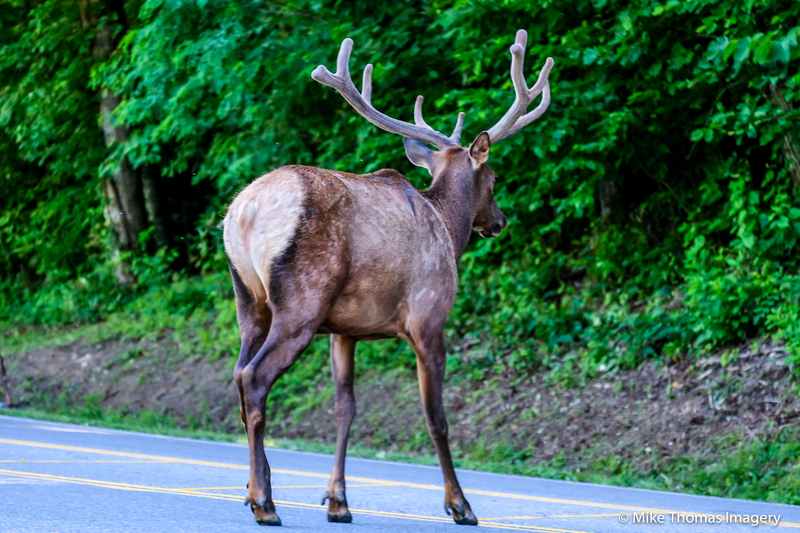 As if the herd of elk sighting wasn’t enough, I drove about another 3 miles down (well, UP) the road. What do I spy there you ask? ANOTHER 2-3 elk. Luckily, there was a small roadside turnout where I could stop my car. 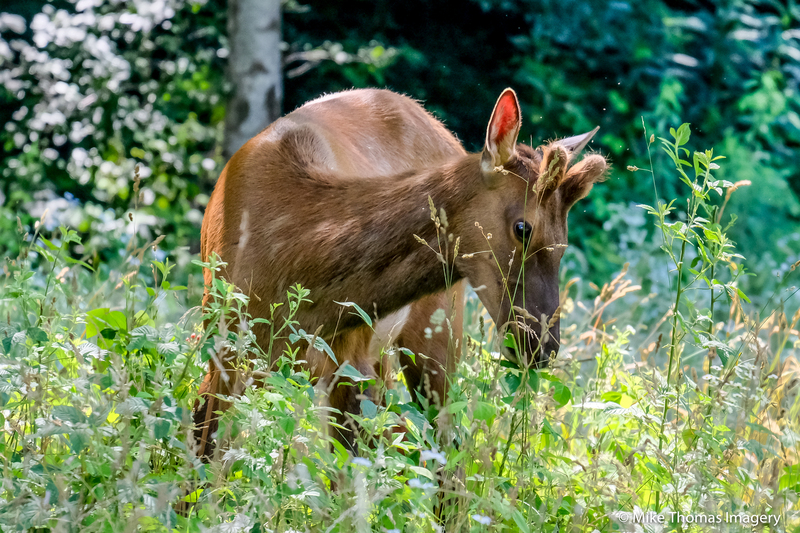 I jumped out and clicked off about another 50 shots of these beautiful animals grazing in the high grass. Did it all stop there? 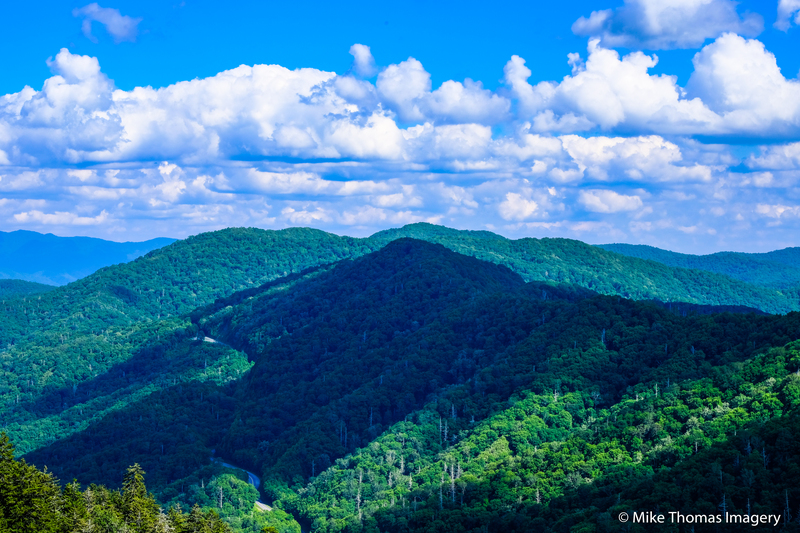 NO I SAY 🙂 I headed to a place called Newfound Gap Overlook. The plan was to stay long enough to capture a sunset. This was at the suggestion of a friend of mine, Alta. The idea was good and I had every intention of staying another hour or two to make this happen. But my luck began to run out, The clouds kept growing and thickening all around the gap and beyond. 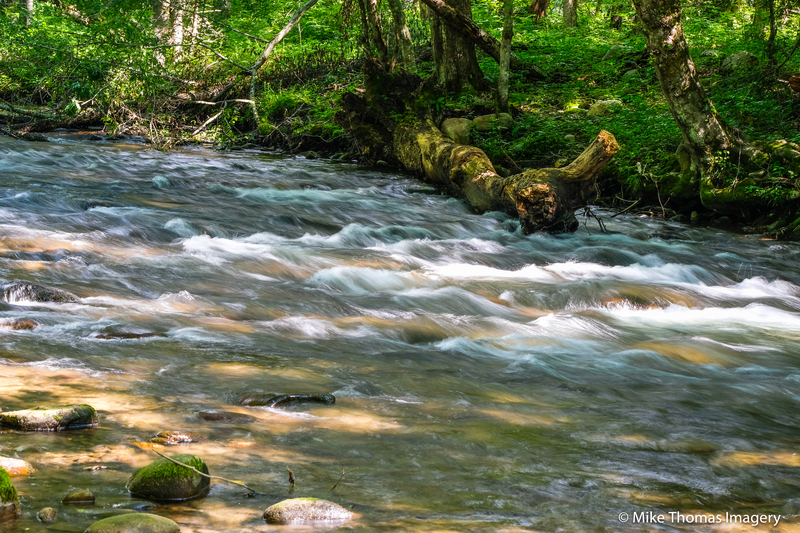 So I made the best of it and shot about 2-3 different locations (including Newfound Gap) in long exposure with a neutral density filter (which lets you take long exposures in the middle of the day etc…). One of them I’ve included herein this post. However, I will admit there are several more that are ‘fine art’ quality and will be a for sale item at a later point (as are several other shots I’ve shot over the last few days … hey I like y’all and wanna share some of these images, but I gotta save some to offset the cost of these trips LOL). AND THEN – – – As I was about to depart the park for the day, I was finally able to locate one of the roadside attractions I’d been looking for the last few days. It’s an old fashioned, historic Grist Mill. I got there a little late in the day and the mil itself was already locked up. 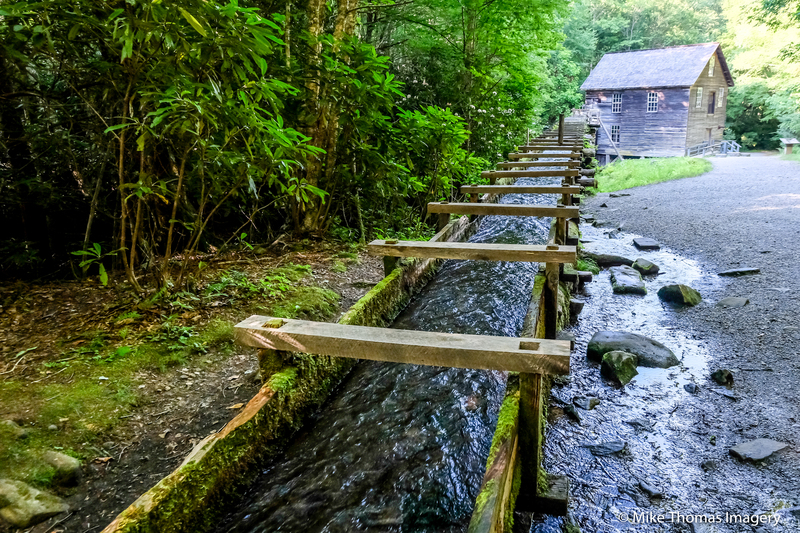 But again making the most of it all, I captured several pictures of the Grist Mill and the grounds. I included one for now in this post. 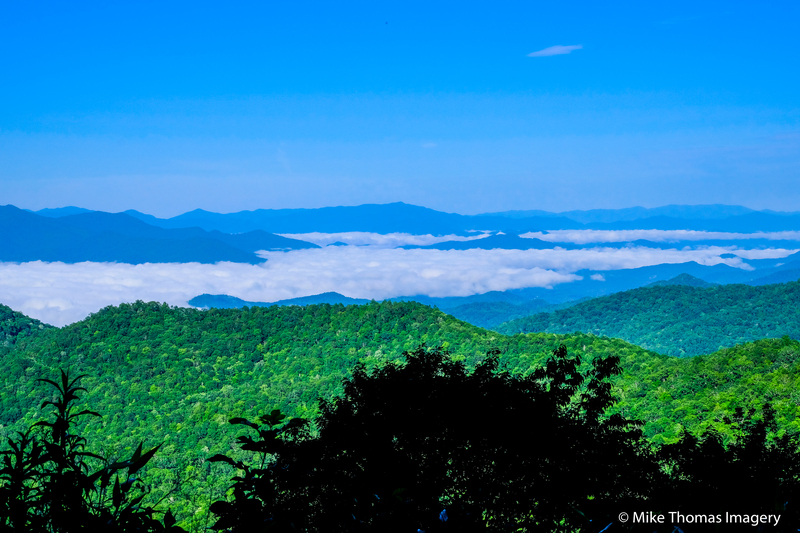 Anyhoo – that’s about it from the Smoky Mountains. Headed back to Florida tomorrow (Thursday). I may do a recap video slide show in the next few days. We’ll see how that pans out. Wanna make sure I have enough shots to make a short video worthwhile. Well, today (Tuesday June 27th, 2017) was one of those ‘outa sync’ days. Meaning – my timing was off, mother nature was off, even the wildlife was off :). Lots of driving through and around the mountains but I just couldn’t make more than a few good photos happen. But it’s really hard to be that unhappy while up here in this beautiful place!!! And that ‘outa sync’ thing … well … I guess it isn’t 100% accurate anyway as you can see by the four pictures herein this blog post. 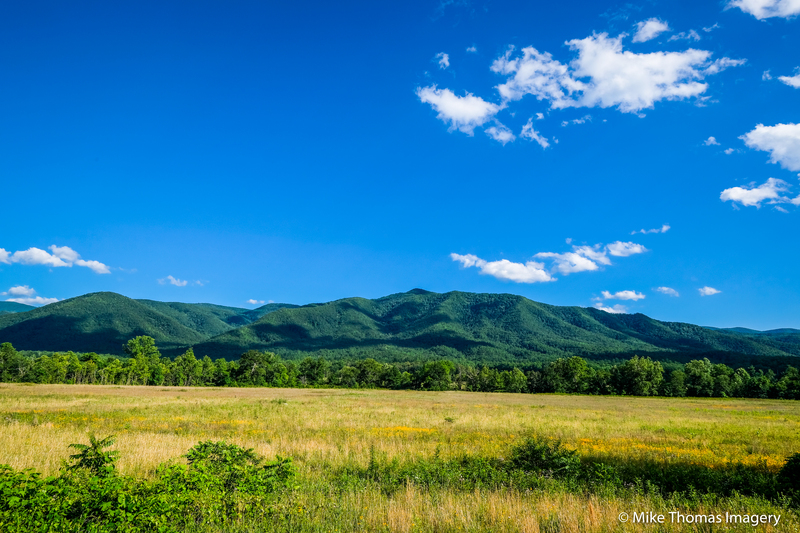 While visiting Cades Cove (within The Great Smoky Mountains National Park), I chose to drive the 11 mile scenic loop. 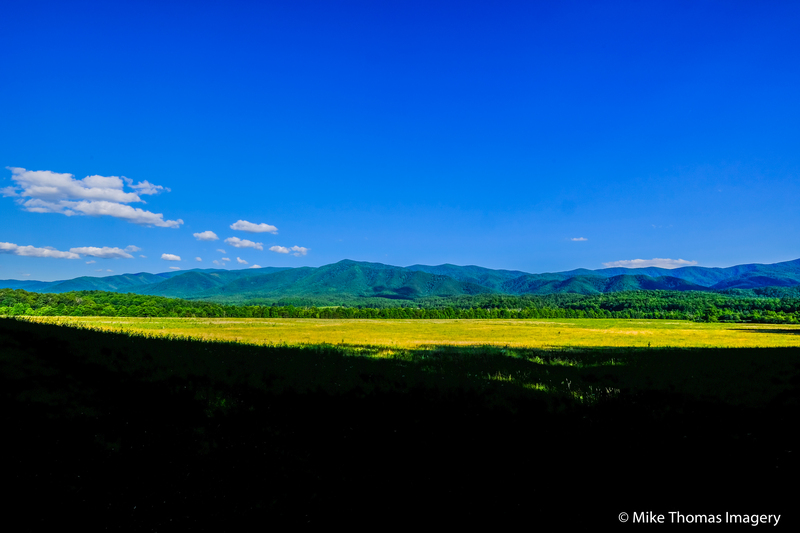 For those not familiar, this driving loop encompasses a vast area in Cades Cove where all kinds of wildlife are known to live, come out and feed etc… But here’s why I reference that ‘outa sync’ thing. Even though I saw a mother bear and two cubs, they were so far into the forest, trees blocking my shot, plus it was rather dark where they were, hence, no photos of that little family :(. I also saw what I believe was a fox that came prancing right in front of me. 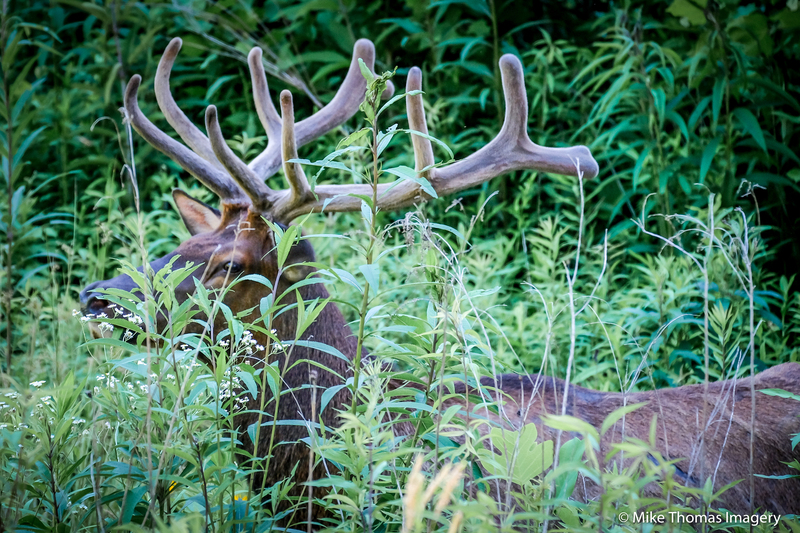 By the time I had my camera at the ready, he / she was gone in the high grass and into the woods . I mean it was really cool to see the two aforementioned. The memories will live in my brain and my heart & soul forever. I just wish I could’ve shared those visions here via my photography. Ahh well. There were plenty of places to shoot more majestic scenery of these spectacular mountains (see the two photos herein). And of course the two shots of the two elk (or moose – not sure 😉 ) atop this page helped make up for anything I might have missed for whatever reason. 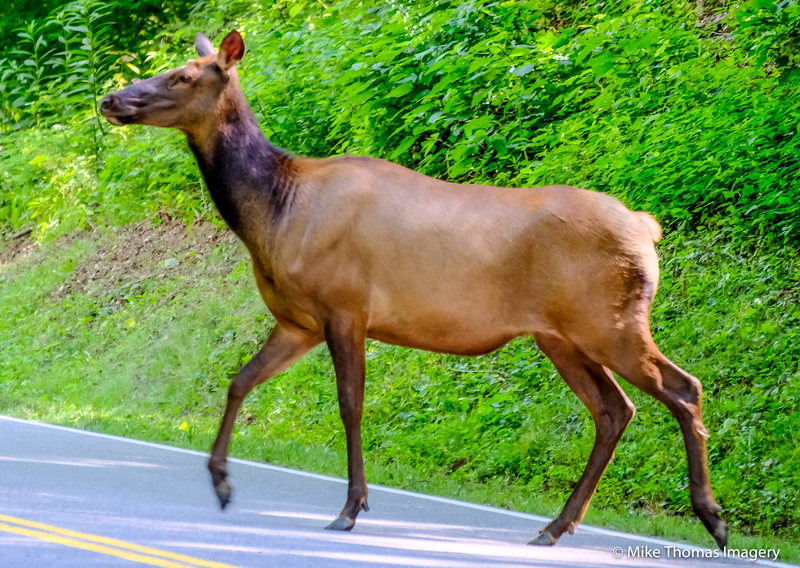 And by the way, those shots (of the elk/moose) were taken right alongside the roadway as I was leaving Cades Cove. Well, that’s about it for tonight. Hopefully more pictures to share after tomorrow’s big adventures :). 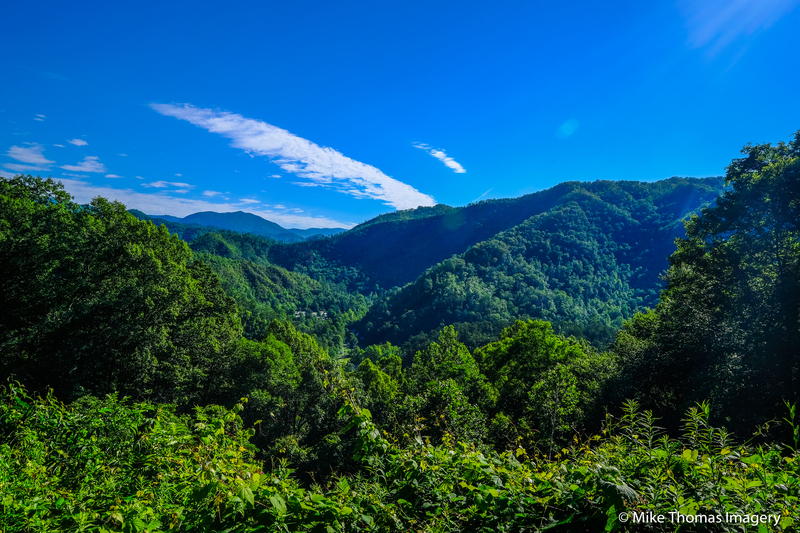 I’ve planned and attempted several time to make a trip to The Great Smoky Mountains. I cancelled once due to a projected forecast of heavy rains for like 5-6 days in a row. The last time I chose not to go due to the massive & destructive wildfires they were experiencing. But this time around, I just said to heck with all that, booked it about 3 days before my departure (from central Florida) and just went. God shone down and made the weather perfect for my adventure. And a big adventure it’s been so far. I can’t explain it. It’s more of a feeling inside my soul. But in just one day (and night) I’ve spent here, I fell like … I dunno … like I’ve taken a step back in time, but in a good way. So many past emotions, experiences and peaceful moments. More on all that stuff in another blog post ;).For now, please read on and view the rest of today’s ‘select shots’. So here I now sit in my hotel room at the ends of day 1 (which began for me at about 6:30 AM) just in time to watch the sun rise over the mountains. Side note – didn’t get any shots of the sunrise TODAY as I didn’t realize until it was too late that I was basically on the ‘wrong side of the mountain’ for that. But here’s hoping for tomorrow or one of my other days I’ll be here. 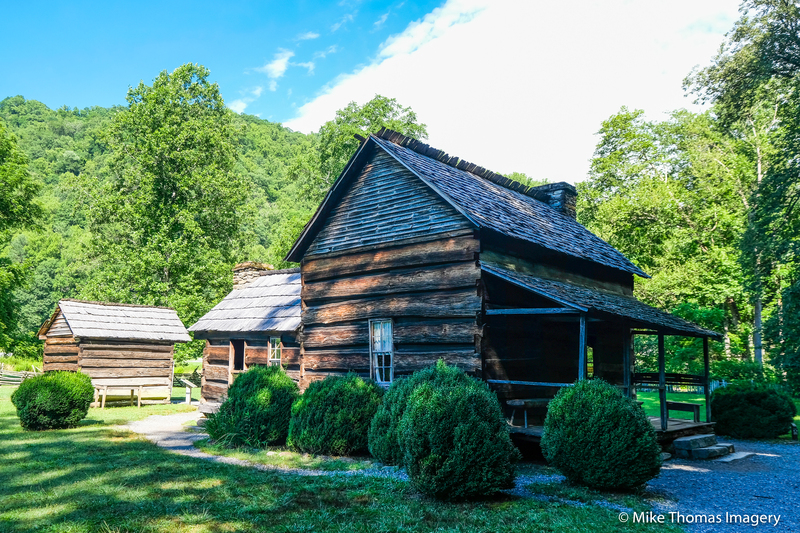 I managed to visit many of the beautiful and historic areas or venues throughout The Great Smoky Mountains National Park as well as some bordering views just outside the park along The Blue Ridge Parkway. 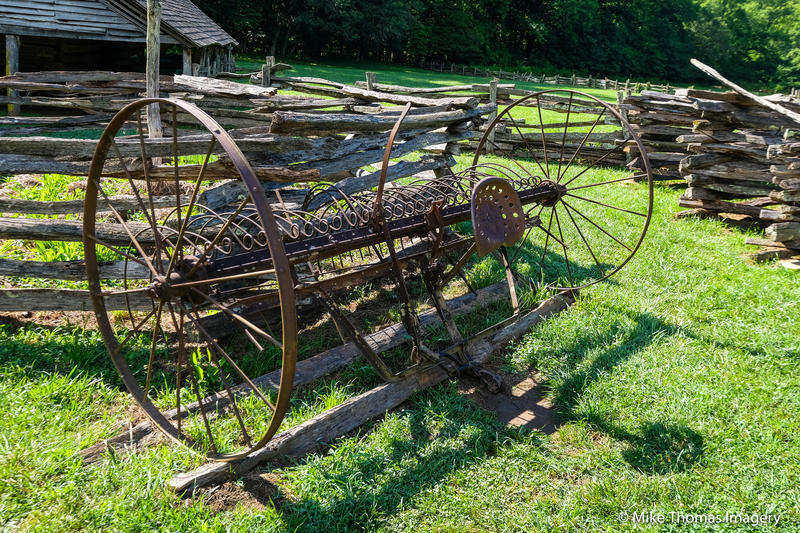 There are lots of old, historical heritage locations like these last two shots in and around the mountains here. The plan is to visit them over the next 2-3 days. Once again, more on all that in more / other blog posts. These pictures are just a few ‘teaser’ images. At the end of this trip, I’,planning on putting many more photographs on this blog (and elsewhere – i.e. – Instagram (@MikeThomasImagery) etc… For now, enjoy these and let your mind wander into the peace & QUIETNESS of these wonderful mountains! 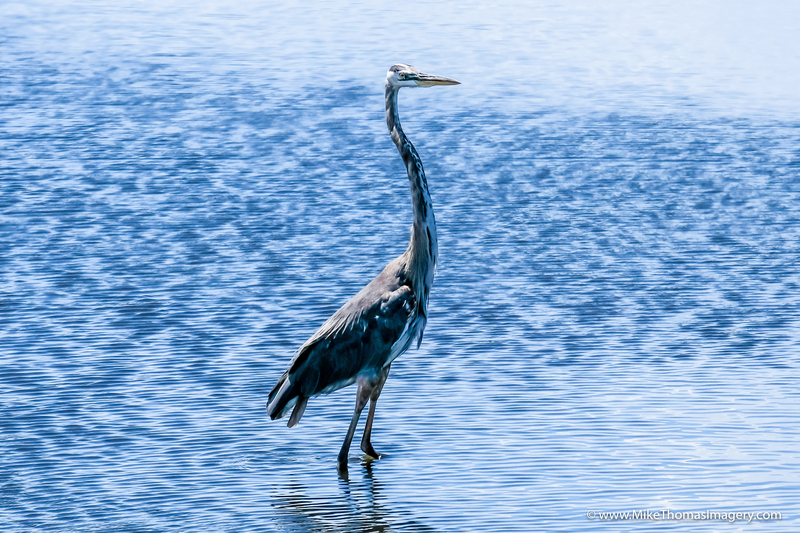 So there I was – driving home from the small Florida town of Mount Dora Wednesday morning (see other blog post on that one) after shooting the Mount Dora Lighthouse and some bird wildlife. I look over to my right and I suddenly feel like I’ve stepped back in time. I see this airplane (and I use that term intentionally – not jet or jetliner – look at the propellers on this baby) parked on one of the taxi ways. I then noticed an entry / exit to the airport where this plane is. I swerve (carefully of course) off the main highway and into the airport. I find a good spot to capture this shot with a very long lens (so I don’t have to drive out on the taxi way with my car …. yah, THAT would’ve ended well I’m sure ;)). 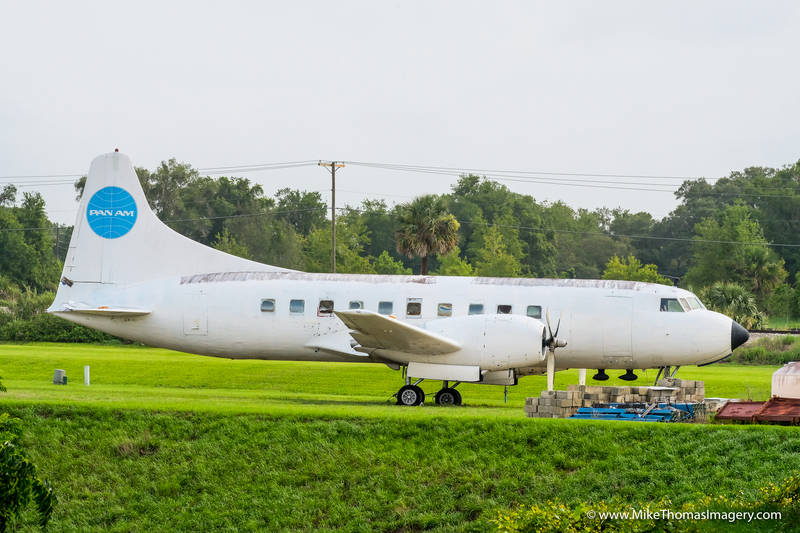 I’m not sure if it is in fact an actual Pan Am airplane or some sort of converted plane that the owner just painted the logo and the Pan Am colors on to. Regardless, I thought it was a pretty good find. Made my day :). Perhaps I’ll go back out there, talk to whomever and try and get permission to go right to where the plane is parked and grab some even better pictures. We’ll see :). For those reading this who don’t know (and I understand that’s probably most of you – especially those who don’t live in Central Florida), there’s this beautiful, quaint old town called Mount Dora. 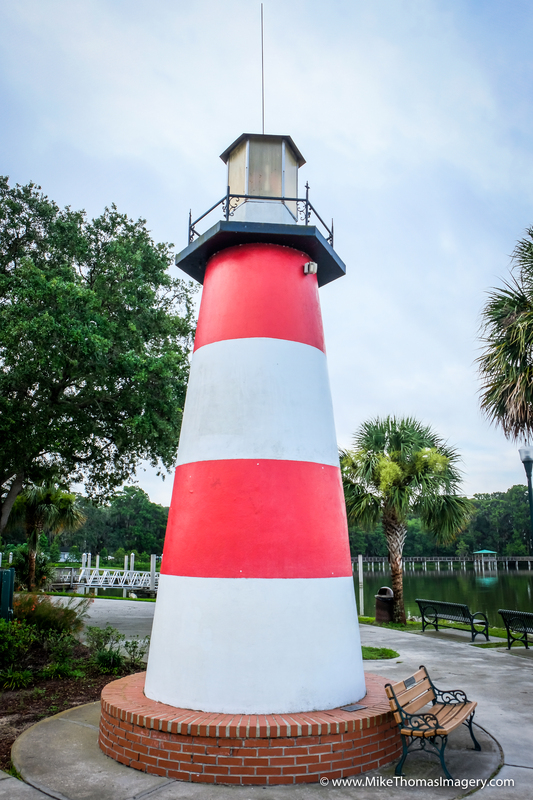 Roughly north of Orlando, Mount Dora is home to old fashioned streets, diners, shops and more. There’s also a lake in the downtown area that’s pretty vast. Many a watercraft can be seen cruising the large lake. There’s a marina that’s also big enough to warrant a light house. Yep – that’s right. Small as the lighthouse is, it is a working lighthouse. I’m not sure if it’s on the National Registry of Lighthouses or not. But it does serve a purpose for mariners to heed the shore line of that portion of the lake that’s home to the marina. 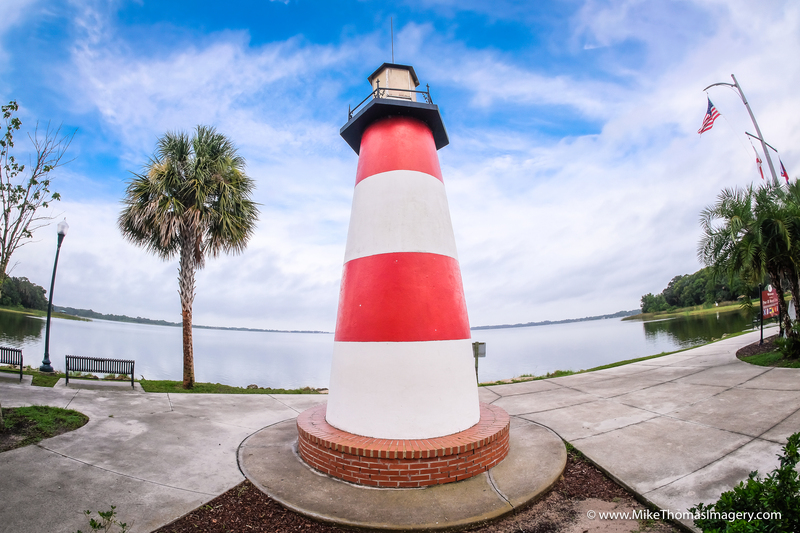 I’ve been meaning to get out to Mount Dora for some time now to shoot the lighthouse (and some of the town and its folks – but that will come in another post later). The area where the lighthouse stands I found to be a very peaceful, serene place, especially in the earlier part of the day like when I was there at about 8:00AM. The wildlife / birds aren’t overly plentiful. But they’re around and some will pose for pictures – like this guy :). As I said above. 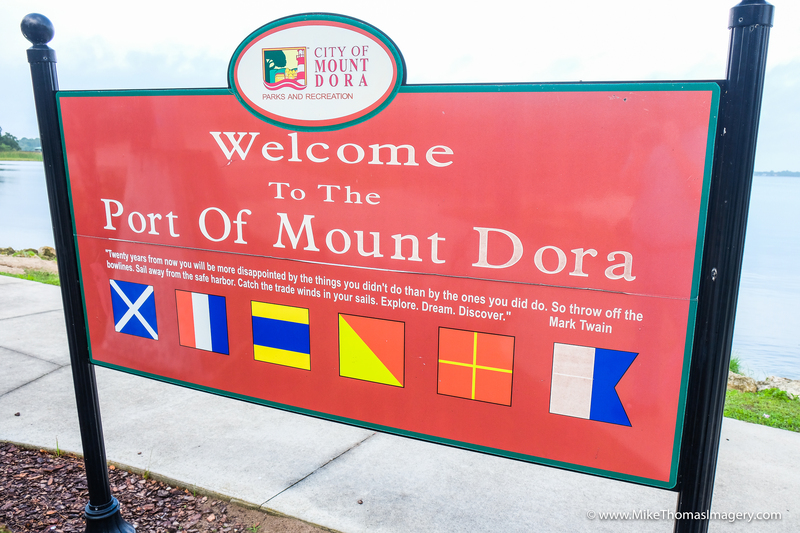 there’ll be at least one other post coming about the town of Mount Dora. But in the meantime, if you’re ever in that area and enjoy old time, small town, down home look & feel, ya’ gotta check out Mount Dora, Florida :). 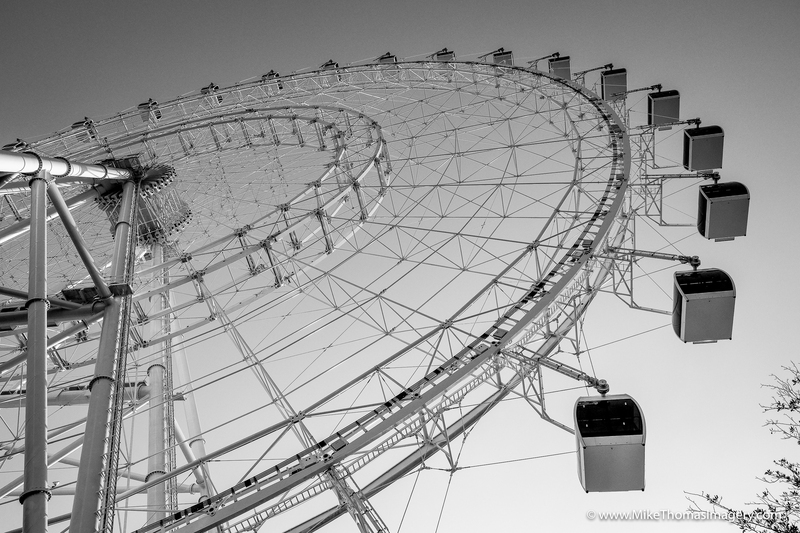 While browsing some pictures I’d captured in days gone by, I came across this black & white shot of The Orlando Eye. I did a blog post about two years ago when I went on this baby for the first time. But all (or most of) the shots I’d posted were night time shots as The Orlando Eye looks quite beautiful at night. So I thought I’d post one of my slightly more artistic black & white shots of this nifty, cool attraction! So I’ve had quite a few emails & messages inquiring as to whether I have any pictures of the new, “Pandora – The World Of Avatar,” at Disney’s Animal Kingdom. Well, yes I do. But several points to be noted here. One, the new ‘land’ is beautiful for sure! But I’ve yet to capture (and I’m not sure I ever will in this specific case) the majesty, vastness and beauty of it all. It’s one of those rare ‘gotta be there’ type scenarios. That being said, here are 4 photos I’ve managed to take thus far while visiting on my own the last week or two. Point two, the night time shots here are pretty but are some of thee most difficult and challenging shots I’ve ever taken. They way to really shoot these is on a tripod (not hand held as this one is), long exposure and with nobody in the place. Hmmm? If only I could figure a way to do that one . We’ll see – perhaps a later post if I can arrange it all. Point three, I semi-shamefully admit I’d never seen the movie, “Avatar,” – until last night that is. I bought it via iTunes. I was pleasantly surprised and very entertained by it all. Way better than I expected it to be. Point here being, now that I’ve seen it, SO MUCH MORE makes sense to me in this new ‘land’ at Animal Kingdom. I know: “DUH”!!! :). Anyway, if you haven’t yet been able to go see Pandora – The Land Of Avatar at Walt Disney World yet, it’s definitely worth it, if for nothing else than the sheer beauty of it all both day and night! I ventured out to test / try and repair some problems I’ve been having with one of my cameras. 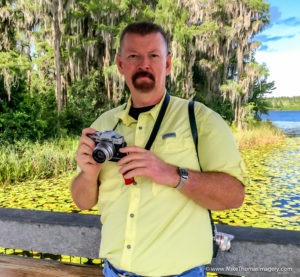 I went to one of my favorite nature places – Lake Louisa State Park here in Central Florida. 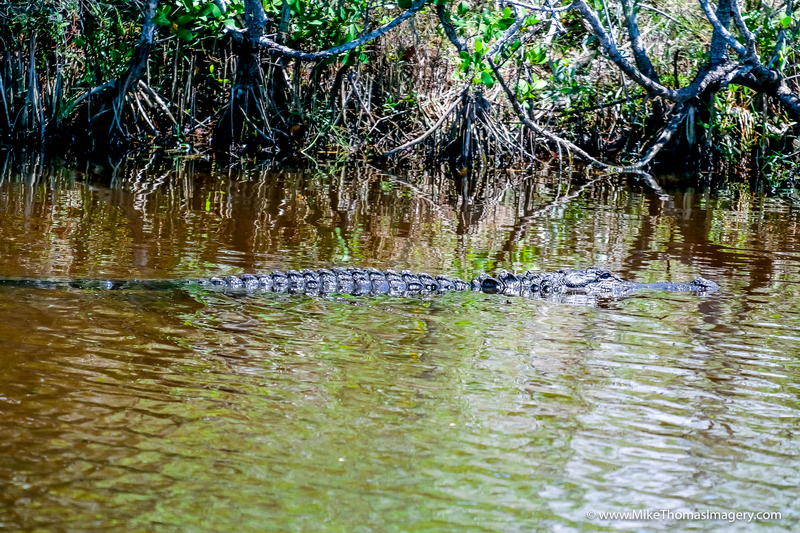 In the past, I’ve been able to capture (in pictures) great wildlife such as deer, eagles, osprey, gators and more. But today was just one of those days that kinda reminded me of an old John Denver song, “Some Days Are Diamonds, Some Days Are Stone.” Today, all I was able to capture on the nature trails and/or by the lakes were these little critters. Not a bad thing I guess. But I probably could’ve poked my head out my front door and captured similar :).